As with most exercise movements your grip strength and form is critical to an injury-free and fun-filled jump rope experience. Just because something looks simple or easy, doesn't mean it's not significant. While jumping rope is straight forward, there are some key elements to consider in order to maximize your results and prevent injury. In this video we cover correct hand placement and arm extension while jumping rope, which will improve your grip strength. During these rounds, focus on your rhythm and form. Don't worry about speed right now. The most important thing is to establish a solid foundation around your form. It's literally the building block of every cool trick you hope to do. Now to dive into how to hold the rope when jumping. Notice the specifics of how my hands are positioned while holding the rope. Some people make the mistake of wrapping their thumb around the handle. Placing your thumb on top along the edge of the handle give you more control. You'll notice that my hand placement is keeping the rope open which helps to prevent the rope from tangling and tripping you. Also, it's easy to think you should maintain a firm grip on the handle while jumping. You actually want to keep a relaxed grip instead of squeezing the handle too tight because you want your wrists and forearms controlling the rotation as you jump. When jumping with heavier ropes, you’ll want to wrap your thumb around the handle in a standard grip in order to control the rotation. 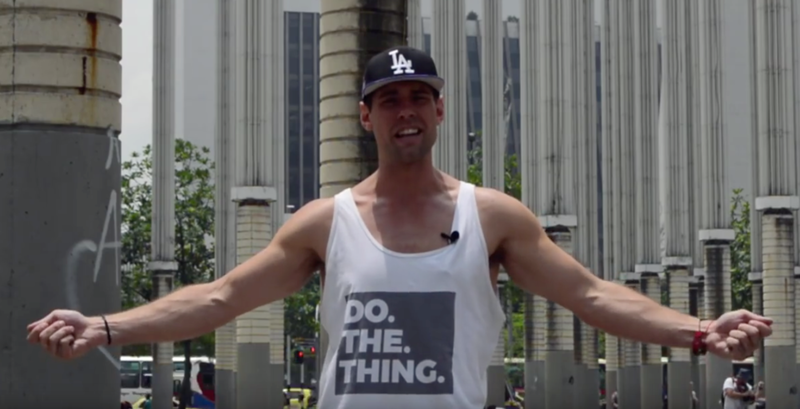 The next thing we're going to focus on is your arms. Too many people jump rope with their arms far out to the side like wings. The reason you want to avoid this mistake is because it robs you of your power as you're trying to jump and rotate the rope around your body. Note how my arms are pulled in tight to my sides and rotating at the elbow so that my wrists and forearms are controlling everything and keeping the rope tight. Think of your arms from shoulder to finger tip as a tightly wound coil. If you don't maintain tension or you extend the coil too far, it unravels. By reigning in the extension of your arms and using the tension to control the rotation of the rope, you'll be able to jump faster and more consistently which means you'll naturally accelerate your results. Follow along on the video above as we complete two rounds and walk through specific tips for your hand placement and arm extension. Bonus tip: to assess your level of control, record a short video of yourself and pay attention to how much your upper arm (tricep, bicep, shoulders) moves while you jump. Spoiler alert: it should barely move at all. 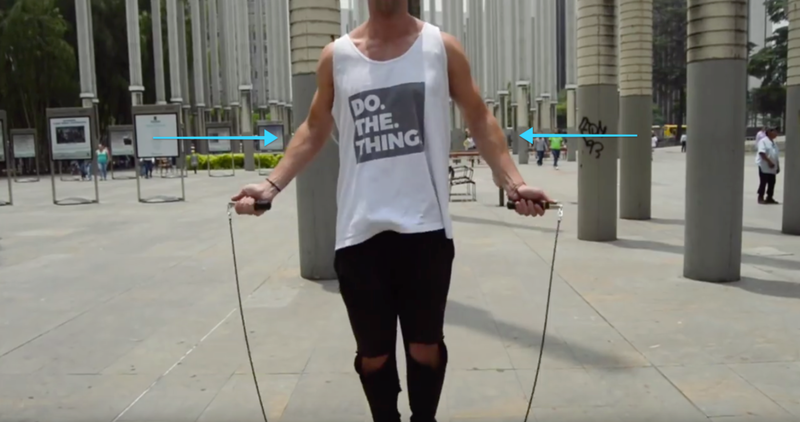 If you want the same professional grade jump rope we used in the video (and all the time) click here to get a 10% discount with code “DOTHETHING”.